Search Engine Optimization "SEO Services" is about being visible online, having others find you, enquire with you! 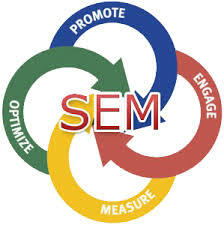 SEO helps attain improved sales results without having real salesman in the field but online! We can do this for your business! While many SEO USA companies target to drive quality traffic to your website, Powered India Technology implements a more targeted Search Engine Marketing 'SEM' plan that focuses on appealing qualified web sales leads and paying customers! We try and understand your business and then devise a custom SEO services program for your website... it works better and produces real sales enquiries!